• A well-lighted flat surfaced area that is protected from the sun, wind and rain, such as wide barn isles, a covered or indoor arena. 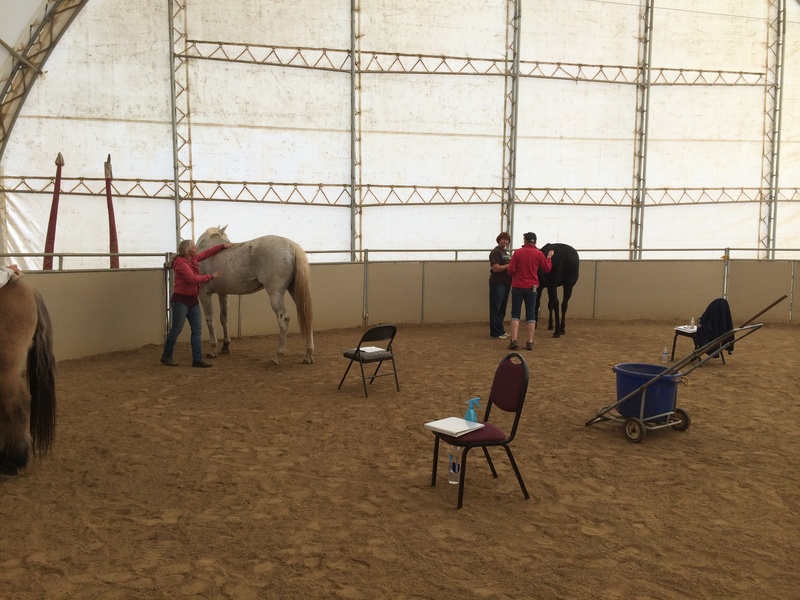 A place where eight horses can be soft tied and the instructor can easily view all of the students. • Each student will need four (4) horses to work on throughout the three days, a fresh horse for each day for specific work and a final horse on which to perform all the techniques covered in the previous days. • Access to a variety of horses or space to board student horses, should they bring them, for the duration of the training. Horses should be rested on the days they receive the bodywork. • A suitable classroom setting with chairs for lectures and discussions. • Access to TV with DVD player or laptop. • A source for hot and cold refreshments, depending on the weather. 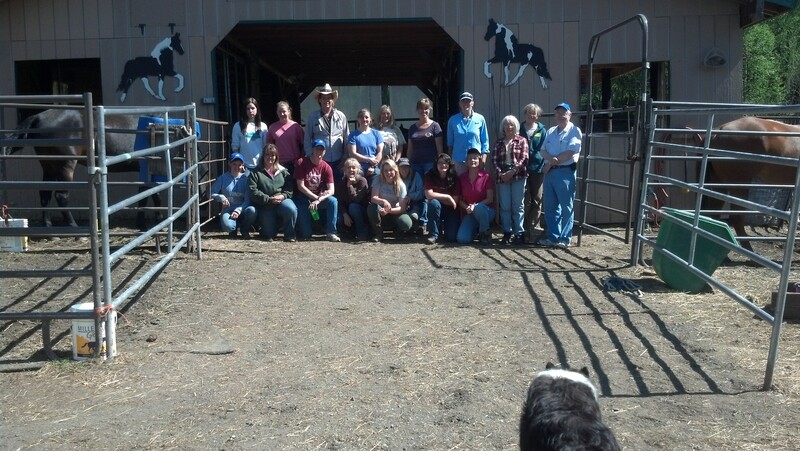 • Holistic Horseworks provides advertising flyers and is equipped with a portable microphone. • In exchange for venue arrangements, the Host receives a free tuition and may charge a nominal booking fee to both students and auditors.